Singing is an important part of school life at St Saviour's. All children in EYFS, KS1 and KS2 meet once a week to sing together, as well as in whole school assemblies. 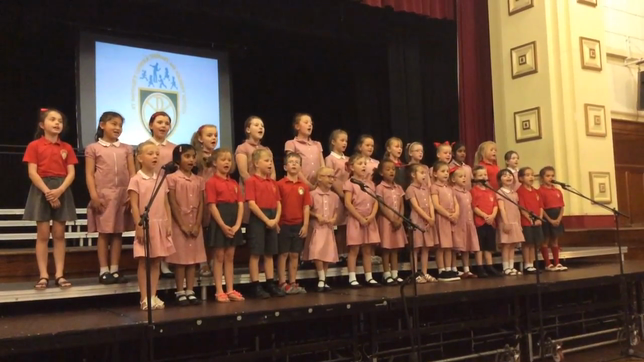 In January our KS2 choir sang at the Civic Hall for the Mayor's tea dance celebration. Children received a standing ovation for their performances of 'Ain't no mountain high enough' and 'Believe'. They also enjoyed the opportunity to share what they had been learning with the rest of the school and visitors during the music Wider Opportunities concert at the end of last term. Choir is now open to KS1 and KS2 children! Please come along to Mrs Millard's room on Wednesdays at 12.45 to take part and learn something new. Hi everyone, I have uploaded backing tracks for the songs we are going to performing at the Ignite Music Festival. Happy singing!